With over 5 million downloads. The Apps Lock and Gallery Hider app protects all your Apps including system apps and locks and hides all your Private Data including Photos, Videos, including HD files, and all other data for free, with a private password, pin or pattern protected app so that you will never have to worry ever about privacy matters ever again. Our mobiles have become the key to all our personal and professional information, and that if not secured properly can be misused by anyone and anywhere, so why give anyone the key to our lives. 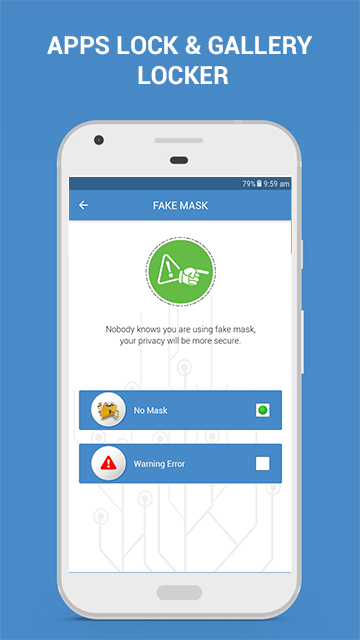 With over 5 million downloads, you can handover your mobile phones without having to worry that your father, sister or friends will sneak into your private chats, your secret vacation's photos or any other such info. 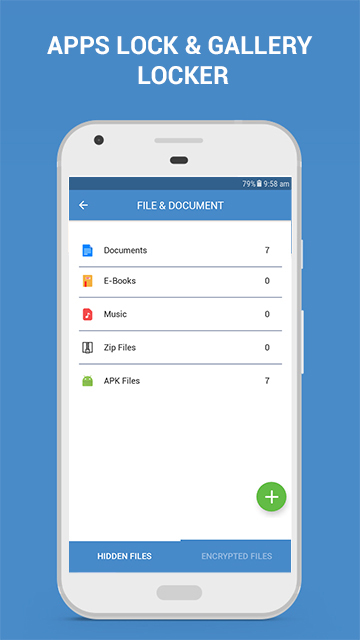 Through, Apps Lock and Gallery Hider app you can even encrypt your important files and documents that you don't want anyone to steal and upload them on the cloud to keep them safe. 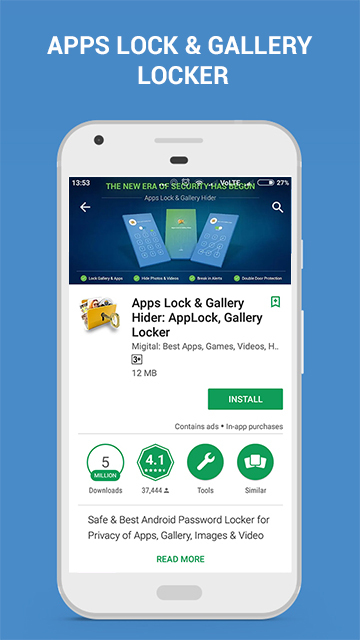 Apps Lock and Gallery Hider app by Migital encompasses some of the most premium features for free which no other app will offer you. It is going to be difficult to choose from so many options and features to choose from. Double protect your apps with a pin or password lock to make sure no one can spy on your phone and even if anyone does, or attempts to do so, you can know who did that. This amazing app is designed for all those who love to keep their info secret since through Apps Lock you can lock and hide pretty much all of your data. Lock your all downloaded, system app effortlessly, shoot images and videos through a direct secret camera that hides automatically in your secret vault. Needs to download too many apps to lock your apps, hide media and to save them on a cloud space? Looking for perfect security app for your phone? 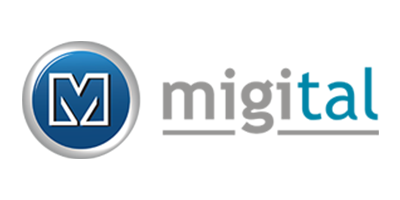 Cannot find a reliable solution to protect all your apps and data? Worried about a friend borrowing your phone to play games? Tensed about private data in some apps may be read by your colleagues? Troubled because your kids pay for unwanted games/apps & mess up your phone's settings? 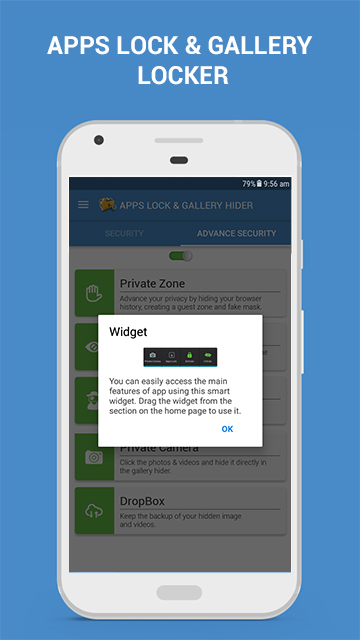 If you are still facing any of the above-mentioned problems and struggling to find the perfect one-stop solution to the best Apps Lock and Gallery Hider app. So, you must try this App to experience the security, performance & style, which leads the race. Your stuff should be private to you & not be the matter of interest for anyone else. 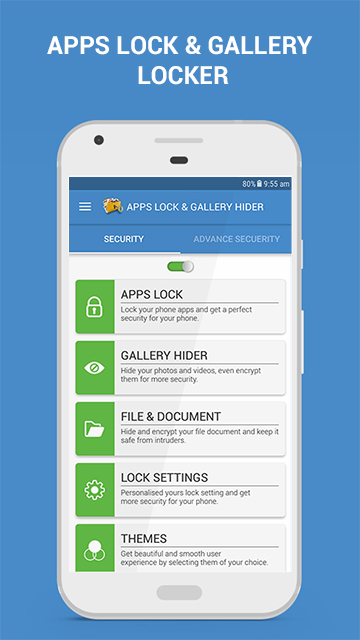 Apps Lock & Gallery Hider can lock any system or downloaded the app you choose, with abundant options, protecting your privacy. It is the one and only App that's enough to take care of all your phone's privacy needs! Go, ahead store as many memories as you want to in your phone and use as many apps containing sensitive data without any trouble and worry with the Apps Lock and Gallery Hider app by Migital. 1. 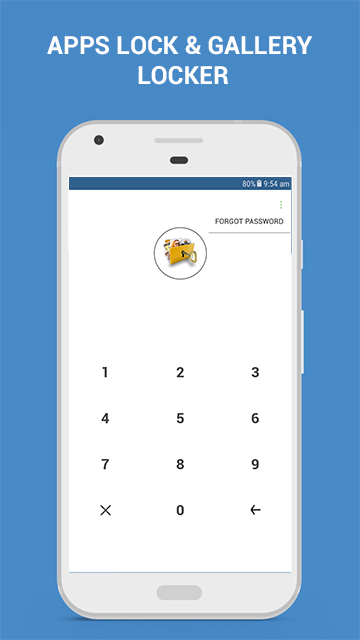 Apps Lock with advanced security features - Download all kinds of app, system or downloaded or advanced apps with a password or pin protection to save yourself from any unwanted privacy leak. Get intruder image alerts if anyone tries to break into the Apps Lock or any other locked app. With one easy touch, you lock any app and save all your troubles for something serious because we have covered all your privacy issues. 2. 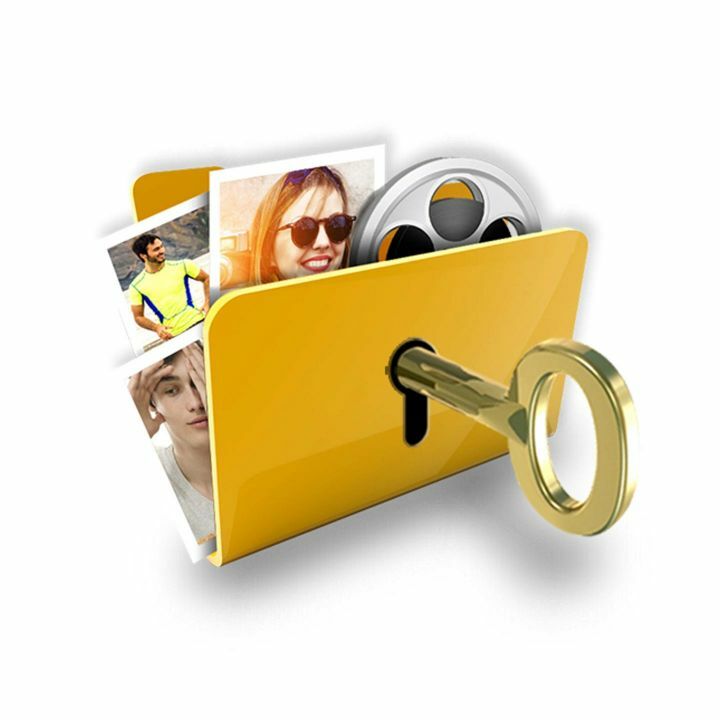 Hide Photos/Videos/Files/Documents - Got holiday pics that you don't want anyone to see or any important documents and files that contain your important data, or any video? Don't hide it with gallery hider in this app and don't let anyone see what you are very protective of. Hide as much data as you want to and see and un-hide them anytime you want to. 3. 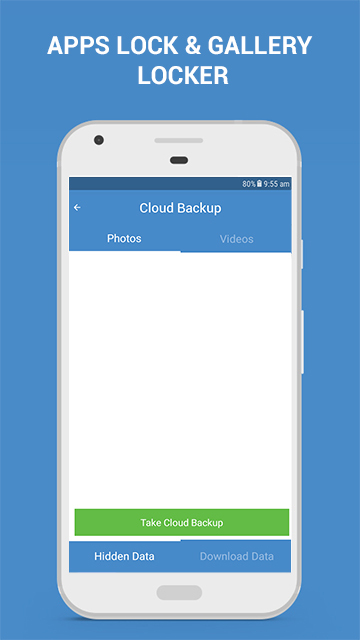 Cloud Upload - Don't ever let your crucial data get lost amongst useless data or get deleted, keep it safe and upload it on cloud and make sure you can access it anytime from anywhere. Your important media ain't going anywhere ever, so keep your data safe with Apps Locker and Gallery Hider for forever and access your important stuff anytime. 4. 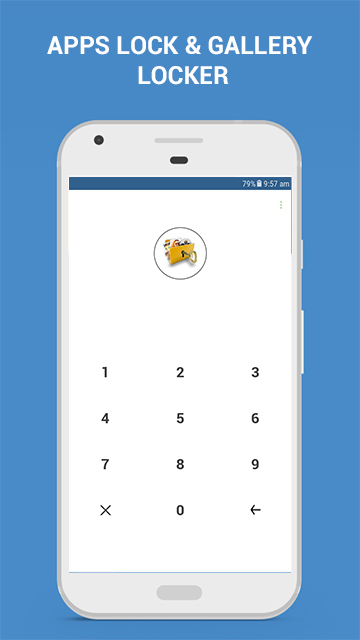 Encrypts Media - With our over-dependence on phones, we use and access literally everything on our phones, be it our bank details, important documents or any other important file or document, we keep everything on our phones and hence they need to be stored safely. Encrypt all your such important files with a click and make sure no one except you can read or check your documents. 5. Widget for quick locking/unlocking - Why worry about opening the app everytime you want to lock or unlock any app. Save your time and patience and quickly lock and unlock any app through a quick widget menu that comes with this Apps Lock and Gallery Hider app. 6. 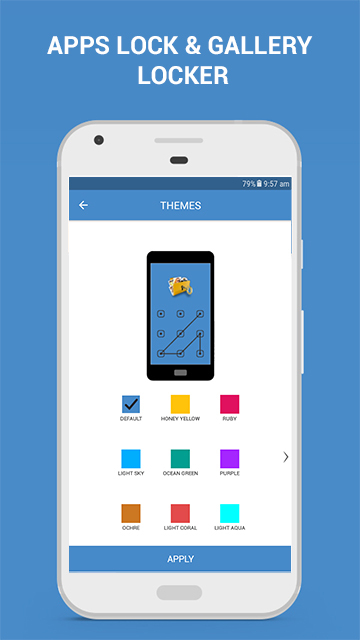 Beautiful multiple themes - Get over the mundane boring themes and change the theme every day to make your apps more beautiful and interesting, with so many themes to chose from you can modify the appearance of the application. 7. Double Door - 2 Locks to enter protected apps is something we believe in when it comes to the safety of your all personal and important data. Why rely on a single password when you can have double security for your apps to make sure no one can break into it. Password protect your app and then double password protects the Apps Locker and Gallery Hider features in the app. 8. Sleep Timer - How about if no one can see that you have an Apps Lock app and hence they won't be able to even use it to break it. With this feature the app will be removed from your home screen and becomes invisible, however, there are ways to open the app which apparently only you will know, so another safety feature that you don't get anywhere. 9. 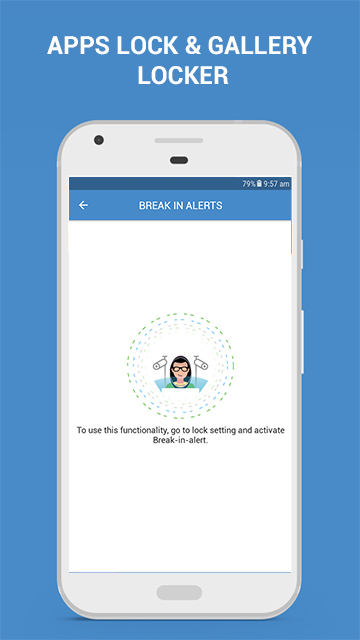 Break-in Alerts - A watchdog for intruders for those who try to break your password and try to enter your apps and see all your private stuff. An image is clicked of any person who tries to break password and try to illegally enter the app so that you can know who did the deed to looking into your personal matters. 11. Install Apps Lock - Auto Prompts to confirm lock for New Installations. It is a reminder for you to put a lock on any important app that might contain anything that you don't want others to see. Every time you install a new app, you get a reminder to whether lock that particular app or not. 12. 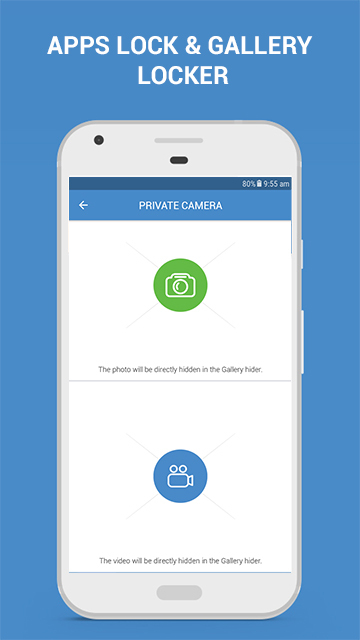 Private Camera - Click a selfie or shoot video in the private and it goes directly into the hidden area so that even if you forget to hide any important photo, it safely is hidden in your phone and you don't have to hide every single image everytime you shoot anything. 1. How to change the password to lock or unlock apps? 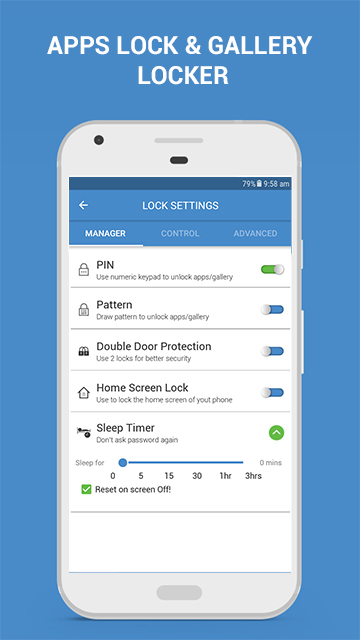 Find the lock set in the security of the app home screen, tap on "Lock Setting" and change your password by tapping (Manager - pin/pattern), reset your pin or pattern and then confirm your pin/pattern. 2. How to reset the password if you forget the password to Apps Lock? There are two ways by which you can recover your password. 1. 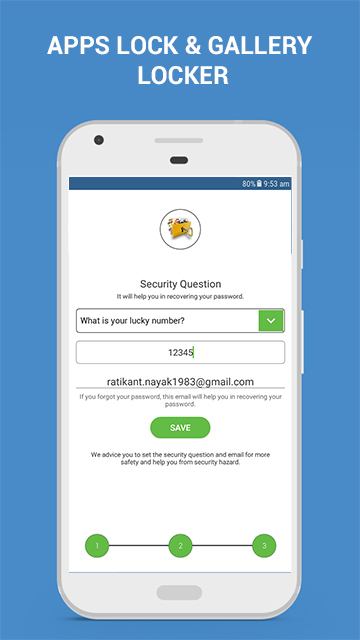 Security Question - Answer the security question that you have set at the time of the first launch of Apps Lock & Gallery Hider app. If your answer match, then the new page will open and there you can fill new password and confirm that password. Hence, your new password will be set. 2. Security Email - The Email that you have submitted at the time of installing our app, will help you in recovering the password. Click on the option (recover password through email), you will receive an OTP on your email and by using that OTP you can reset your new password. 3. How to remove ads from Apps lock and Gallery Hider app? 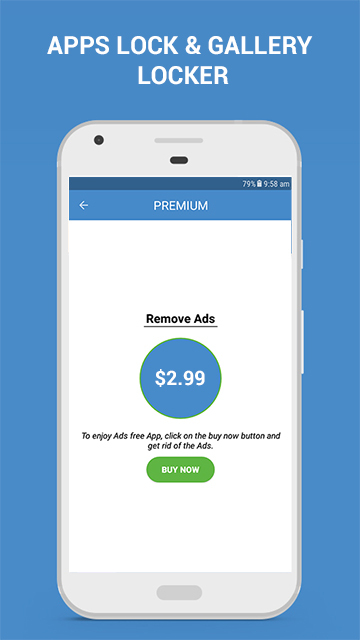 For ads free service you can use our premium and you will get ads free app. 4. How to hide files and documents in gallery hider? There is “File & Document” tab in the main home page. Here you can select your documents which you want to hide. You can also encrypt your file and documents. If you want to unhide or decrypt your files and documents then you can click on “Unhide or Decrypt” option in the same tab. 5. How to open the app after hiding the Apps Lock and Gallery Hider app icon from home screen? When you enable this feature, the AppsLock & Gallery Hider app is removed from your phone screen. No one sees the app. Now to access this app you have to dial password (*#007) in the dial pad or open the URL www.migital.com/AppsLockandGalleryHider/. 6. How to use more safety features for an Apps lock feature? We will recommend you to advance the security by hiding your Pin/Pattern or by using a random keypad. You can even lock the newly installed apps just in a single click. You will get these options in “Lock Settings”. 7. How to hide photos and videos in the Gallery Hider app directly? 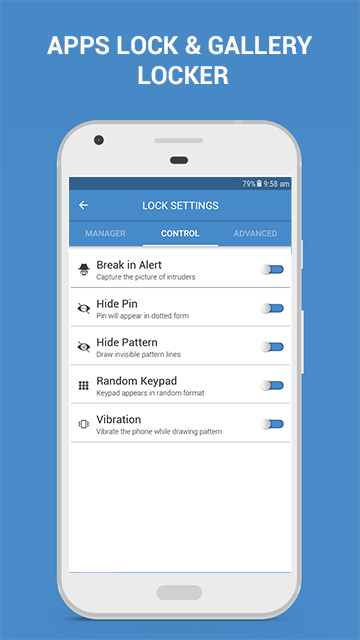 Apps Lock & Gallery Hider provides a “Private Camera” for this purpose. 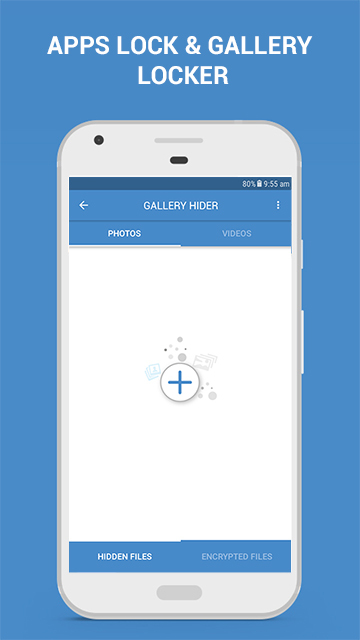 The photos that you click and videos that you make through the private camera are directly hidden in gallery hider. 8. How to enable/disable intruder break-in alert? When you enable “Break-in-Alert” then the photo of the intruder is captured, who tries to break the security of your phone ( enter wrong PIN/PATTERN).To enable it to follow the steps (Lock Settings → Control → Break-in-Alert), enable the toggle and set the number of wrong attempts after which the photo of the intruder will be clicked. Now if you want to see the photo of the intruder the click on “Advance Security” on the main home page and there you get the “ Break-in-Alert” tab”. You will also get the location where the intruder attempted to break the security of your phone. You disable it in a similar way. 9. 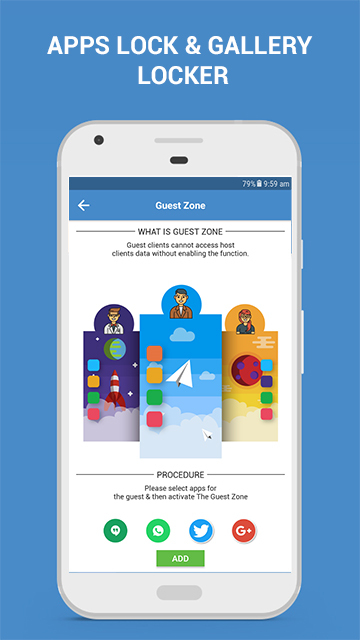 What is guest zone and how to enable it? 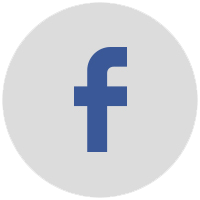 It is an advanced safety feature which a dummy of the home screen is created with the apps selected by you that you want your guest users should see. 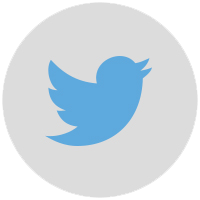 In this way, your phone users can only see what you want to show them on your mobile phone. To use it go to advanced settings >> Private zone >> Guest Zone. 10. What is Icon mask and how to use it? It is another safety feature which when enabled, creates an illusion by masking apps lock app icon by the calculator to fool others as a calculator app. To use it go to advanced settings >> Private zone >> App Mask. You can enable/disable the mask feature from there. Give your phone fearlessly to anyone with the most reliable and the best apps lock and gallery hider, don't let anyone view your private data anymore. Hide photos and images in a secret vault directly, encrypt and hide your file and documents with, set a double password lock on all your apps, create a guest session for your phone and let others only see what you want them to see on your phone with this amazing app loaded with various other safety features. Want some more useful Tool Apps? Try Battery Saver & Phone Booster App for your Android phone now.